Gold Canyon residential home sales during October 2018 showed a strong rise in the number of sales for the month from the number last month. But sales were pretty much the same number we have seen as compared to October home sales in past years. The average price per square foot for homes sold in October was almost the same as we saw last three months. Average price per square foot for homes sold in October 2018 was $168.01. 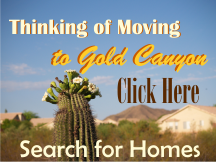 Average price for homes sold in Gold Canyon Arizona in October 2018 was $314,809. Number of homes on the market (MLS) in Gold Canyon Arizona during October 2018 was 195 homes. Based on the 195 homes on the MLS there is a 6 month inventory of homes – at the current rate of home sales. 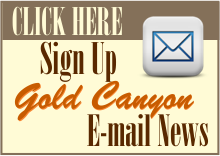 What will happen with the Gold Canyon area home sales as we continue to move through the holiday season and the rest of Winter? Only time will tell — stay tuned.